The battle pitting ABS-CBN and SKYCable against Solar Entertainment Corporation over the carriage fees of NBA channels Basketball TV and NBA Premium has turned into a heated court fight. A Mandaluyong City court issued an order to garnish or seize bank accounts and other assets of ABS-CBN Corp. and its cable TV unit SKYCable Corp. in connection with a dispute with Solar Entertainment Corp. over the airing of BTV and NBA Premium TV channels. According to a statement issued by the Divina Law Office, Solar’s lawyer, the court order was signed by Judge Monique Quisumbing-Ignacio on May 16. Attachment and garnishment are legal procedures to collect debt. ABS-CBN and SKYCable admitted it received an ex-parte writ of attachment and notice of garnishment but claimed the court granted a motion to lift garnishment to its assets last Monday. The two companies owned by the Lopez family expressed confidence that it will prevail in the case. “We will submit our answer with counterclaims to this complaint. We are confident we will prevail,” said ABS-CBN and SKYCable in the statement. 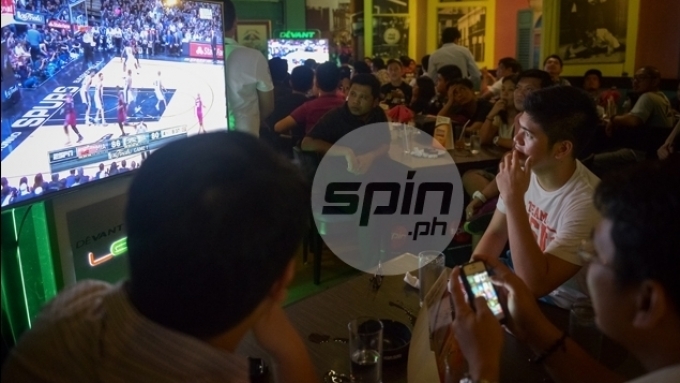 Last April, irate SKYCable subscribers saw Basketball TV and NBA Premium disappear from their program lineup just days from the start of the NBA Playoffs. It later emerged that the issue on alleged unpaid carriage fees reaching as high as P659 million by SKYCable was the reason behind the pullout. While it didn’t release numbers in the press statement, ABS-CBN confirmed carriage fees were the reason behind Solar’s pullout. ABS-CBN explained the company and Solar entered into a joint license agreement with NBA Properties Inc. in 2014, where the former paid 60 percent of the license fees and understood that the sum already covered the carriage fees of SKYCable. “Despite the good faith attempts of ABS-CBN and SKYCable to resolve the dispute amicably, Solar cut off the NBA feed to SKY Cable and filed this complaint,” said ABS-CBN and SKYCable. "ABS-CBN and Sky Cable received an ex-parte writ of attachment and notice of garnishment from the Mandaluyong Regional Trial Court on Thursday, 25 May 2017, in connection with the collection complaint of Solar Entertainment Corporation. "ABS-CBN and Sky Cable immediately filed a motion to lift the attachment and garnishment on the morning of May 29, which the court granted on the same day. "Thus, at this time, there is no effective attachment or garnishment over any asset of ABS-CBN or Sky Cable. "In 2014, ABS-CBN and Solar jointly entered into a license agreement with NBA Properties Inc. Since ABS-CBN was paying 60 percent of the license fees, it considered that the same already covered the carriage fees of Sky Cable. "Unfortunately, Solar disagreed. Despite the good faith attempts of ABS-CBN and Sky Cable to resolve the dispute amicably, Solar cut off the NBA feed to Sky Cable and filed this complaint. "We will submit our answer with counterclaims to this complaint. "We are confident we will prevail."